We've known Anthony for about 20 years. Born in the 1950's it surprised me when I found out he was a Medicine Man. 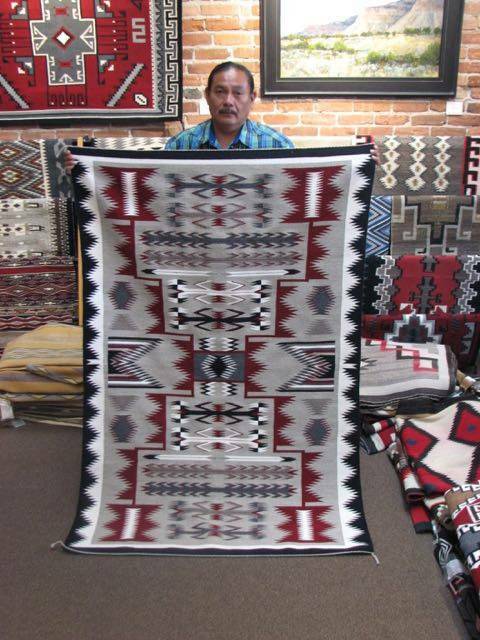 He has several nieces who are great weavers and his mom, Mary is a quality weaver too! Anthony lives at Rock Point which is due north from Canyon de Chelly, AZ.